image from page 9 of Sales Clipper, Vol. 19, No. 5, May 1961. Caption reads: "Emphasis on Brazil: First group of Portuguese-speaking stewardesses graduate from LAD training program after extensive campaign in Brazil to recruit cabin attendants. 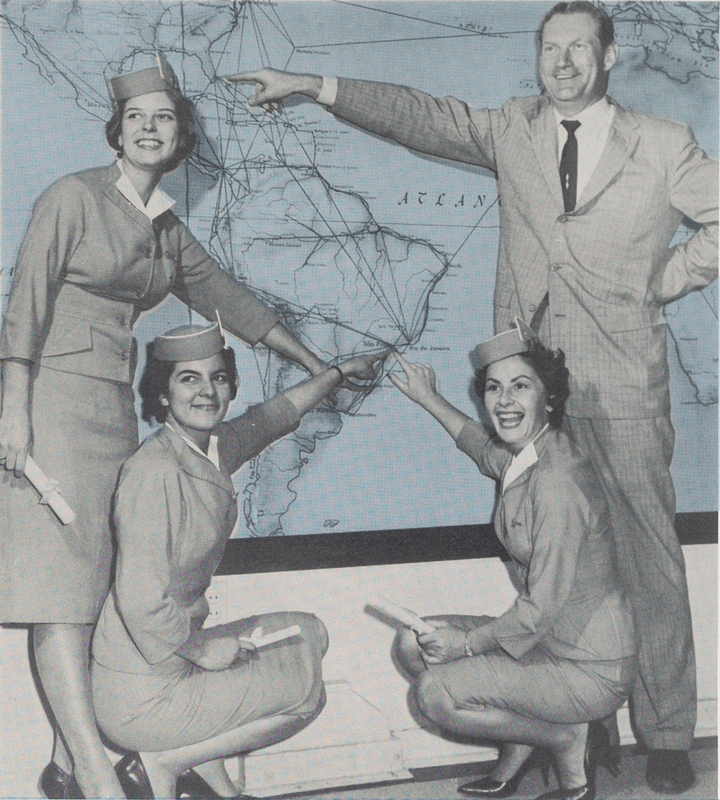 Here, receiving a post-graduate lesson in Pan Am route patters from Peter Thurridl, DTSM, Sao Paolo, are left to right: Ann Beckman, Bernice Mneiro, and Aida Sackler." 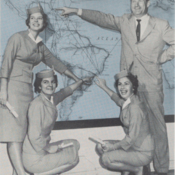 Pan American World Airways, Inc. , “Photograph of Portuguese stewardesses after graduating from Pan Am's Latin American Division training program,” UM Libraries Digital Exhibits, accessed April 23, 2019, http://scholar.library.miami.edu/digital/items/show/1802.